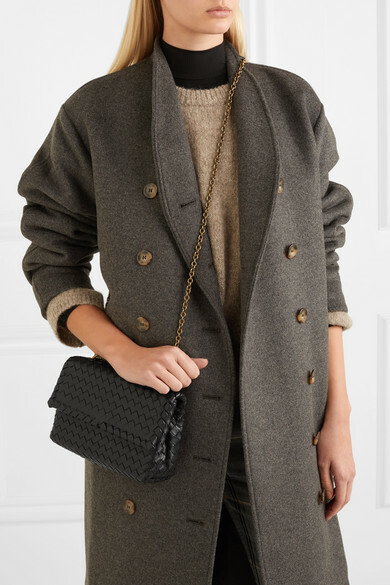 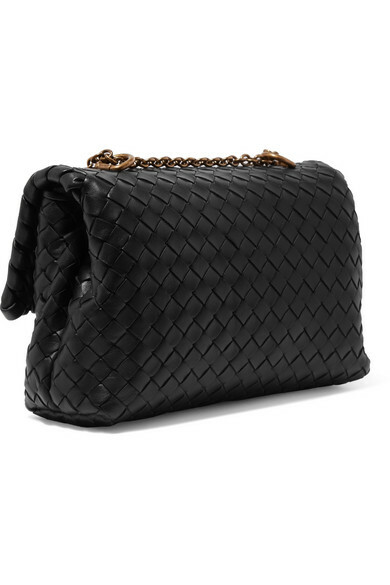 Bottega Veneta's intrecciato technique was developed in the '60s to strengthen supple leather into a more durable form. 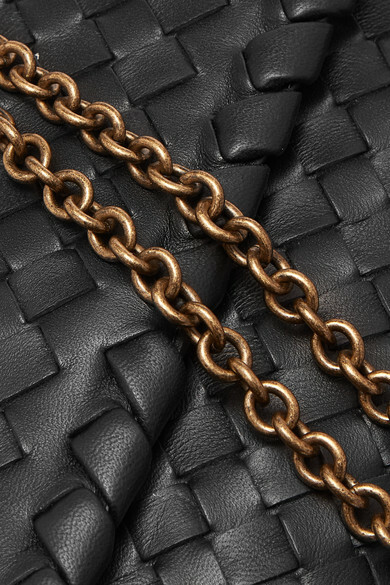 Crafted in Italy using this signature method, the 'Baby Olimpia' bag is topped with burnished brass hardware and a chain strap that can be doubled for a shorter drop. 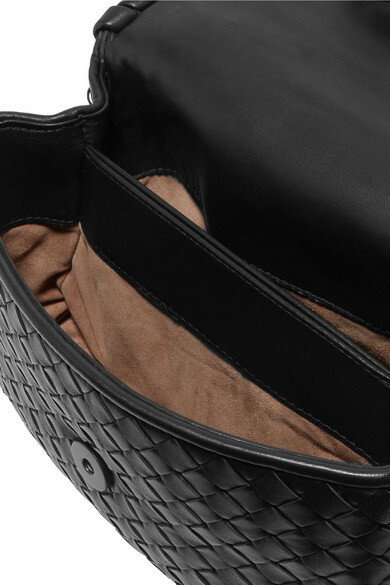 The suede-lined interior is divided into three compartments for easy organization. 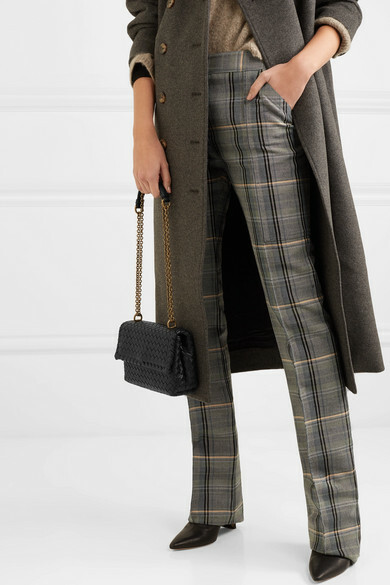 Shown here with: Stella McCartney Pants, Totême sweater, Totême Coat, The Row Knitwear, The Row Ankle boots.